A 17-year-old boy who had fallen out of a capsized dinghy and hit his head was saved by rescuers on Saturday. Volunteer lifeboat crews from Gosport & Fareham Inshore Rescue Service (GAFIRS) were returning from an exercise in Cowes when they were flagged down by a passing sailor. The sailor alerted crews of the service’s inshore lifeboat to a fellow seamen who had fallen out of his Laser sailng vessel and hit his head. 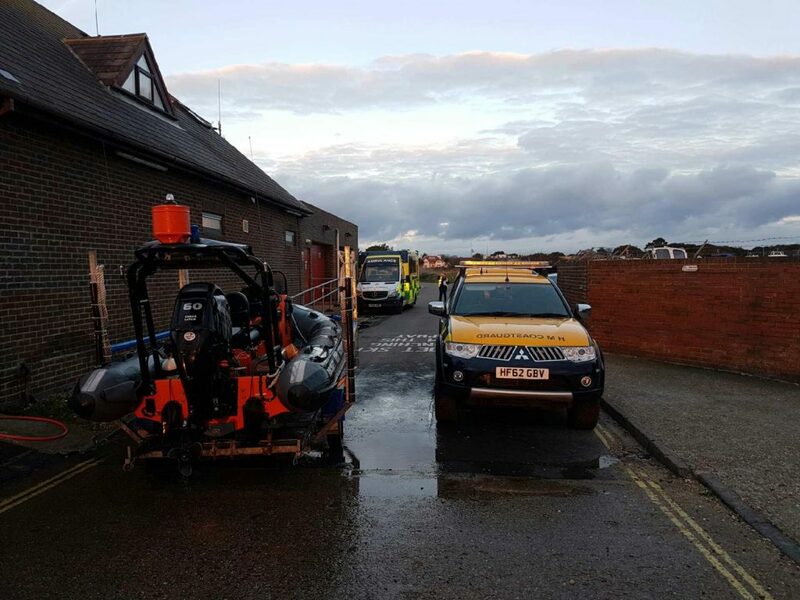 Gosport ILB coxswain Chris Newbrook said: ‘The casualty was located around a mile south west of our station in Stokes Bay where he was clinging to the underside of his boat. The male was evacuated and taken back to the station, in Lifeboat Lane, Gosport. 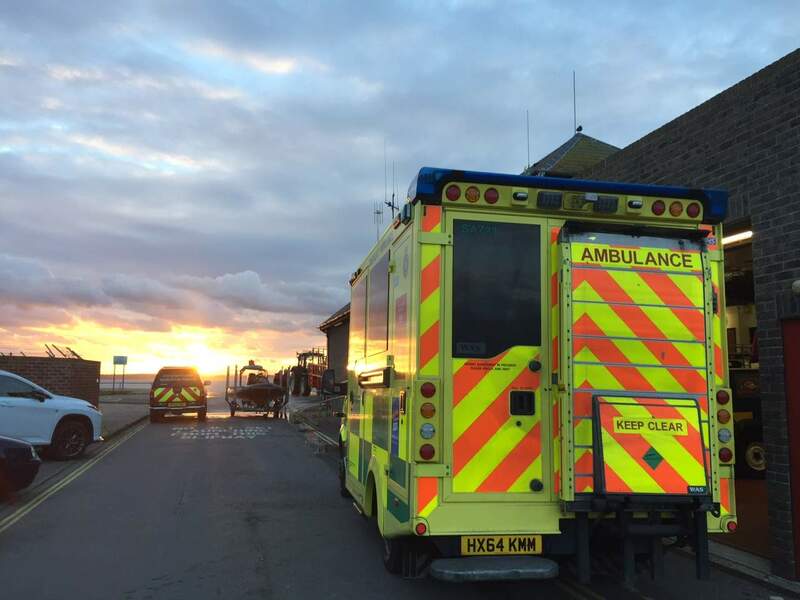 ‘We beached the inshore lifeboat and the GAFIRS medical team treated the concussed male in the lifeboat station’s medical room,’ added Mr Newbrook. South Central Ambulance Service and the Coastguard’s Hillhead Mobile unit also attended the incident. 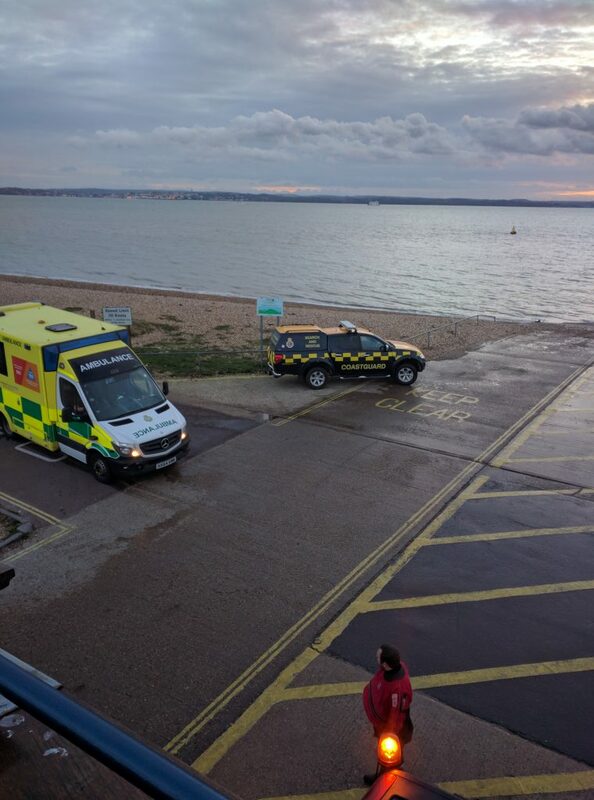 The young man was taken to Queen Alexander Hospital, Cosham, for further treatment and his dinghy returned to Stokes Bay Sailing Club. The incident was GAFIRS’ second of 2017. Last year the independent lifeboat station carried out 112 rescues in The Solent and surrounding waters. The service is staffed entirely by vounteers, on pager call out to the Coastguard 24 hours a day, 365 days a year.